We know you have many options to start a business — so how do you decide to go it alone or join a franchise? On your own, you have to put yourself on the line with no support or help for success. With a franchise, you’re backed by proven systems and a trusted brand. It’s the smartest risk to start a business. But every franchise opportunity requires a different investment. A typical restaurant or retail franchise can cost anywhere from $150K to over $1M! 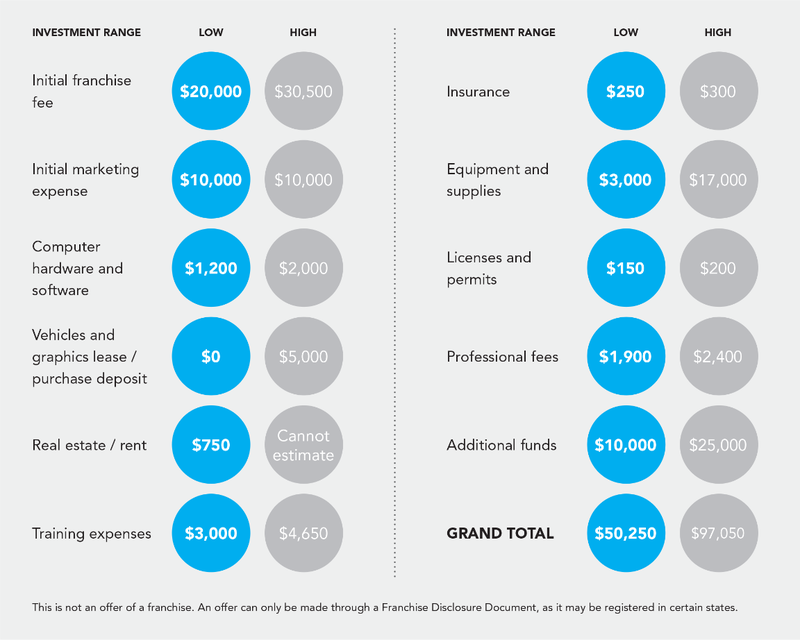 At Shack Shine, we’ve made it more affordable than ever to start a franchise. We believe everyone has the right to be considered for a franchise opportunity. This is our way of making that dream a reality.